I wasn't planning on rowing The ABC Bunny this week. I printed out a few activities when I requested the book online (from another library in our system), and quickly came up with a few more when it arrived so quickly! 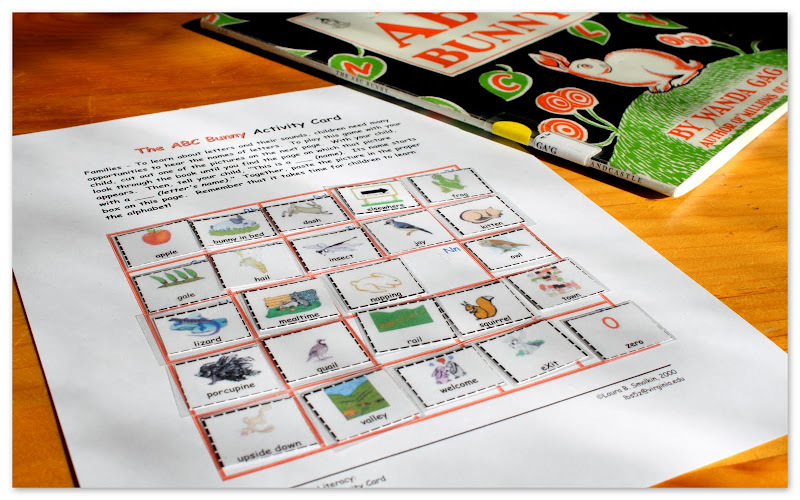 We focused on a general overview of the alphabet, signing our abc's, recognizing the letters (Eliana) and their sounds (Malachi), abc order (Malachi), upper and lower case matching, spelling our name . . . and of course, bunnies! (Malachi did not want to hold the bunny). 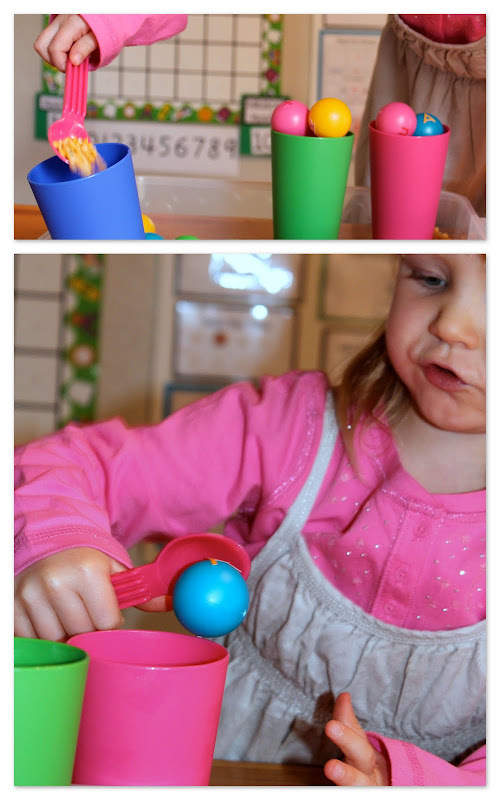 The trick pong ball game is played by bouncing the ball or rolling it off your nose (or other tricks), then letting it bounce and land in the cup. 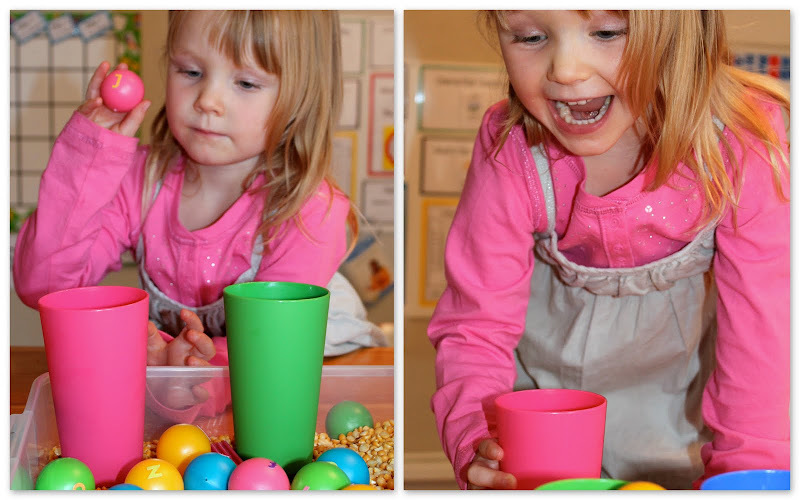 It was a little hard for Eliana, but she was so excited when she landed one in the cup. I had her and Malachi say the sound of the phonogram before shooting. It was also a very popular tub with the older boys who said this was their "favorite one so far." This matching activity from Homeschool Creations is perfect for little ones learning about upper/lower case ~ the picture puzzle helps them make the connection. 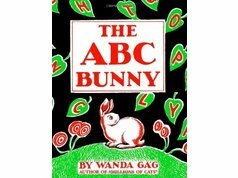 Using words and pictures from the book, this a perfect go-along for The ABC Bunny! Please note: there is a mistake in this file, but we still enjoyed it! I thought these were so sweet! The only change I made to this pattern was to crochet the ears instead of knit them. (I didn't think I would have the patience to knit so tiny in the round). These are really simple and fun to make ~ and I had to resist making more! This U/L case matching was more of a challenge for Eliana, but perfect for Malachi. I thought it was so sweet how he was encouraging her and helping her along (she played along nicely because I know she can do this on her own). 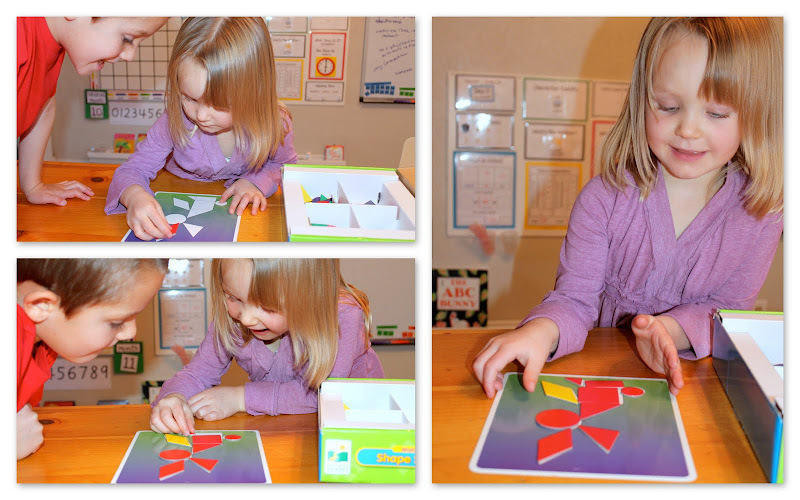 I thought these would be fun texture letters good for lots of activities, but the classic use won out. They have enjoyed playing with these in the tub this week. There was so much more we could have done with an alphabet theme. . . too much! 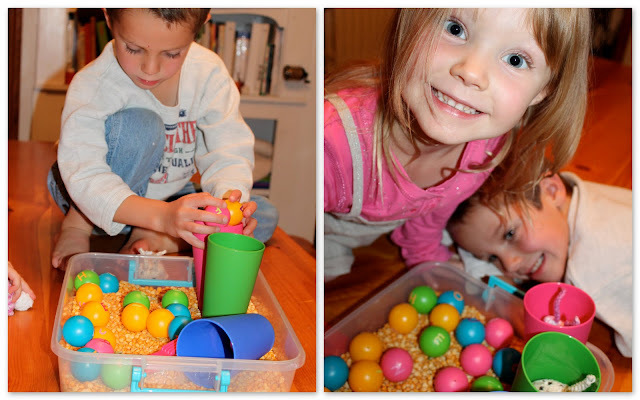 I LOVE the ABC ping-pong sensory tub! What a fantastic idea! This whole post has so much inspiration. Heather, the key for me is organization and planning ahead. I share more in my post how I do what I do here. You did an awesome job on this bunny unit. The number of skills you covered is amazing. The trick ball look like such fun. I love the little bunnies. Looks so fun learning the alphabet with your family. I forwarded the Stylish blog onto you. You can go here: http://www.raisinganarrow.com/2010/11/1st-blog-award.html to see it. What fun activities! I love the ABC sensory tub. Love that you made it into a game as well! 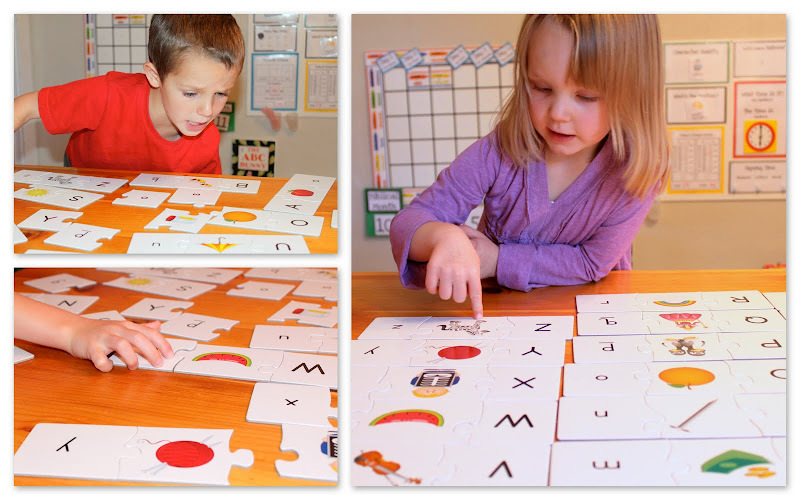 We have the Upper/Lower Case three-piece puzzle and we've done the ABC Hunt with success in the past. Perhaps we should check out this book now! What a great bunny unit. I love those knitted bunnies! Thanks for sharing.